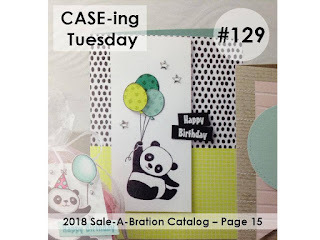 I'm back again with the CASE-ing Tuesday Bloggers today. 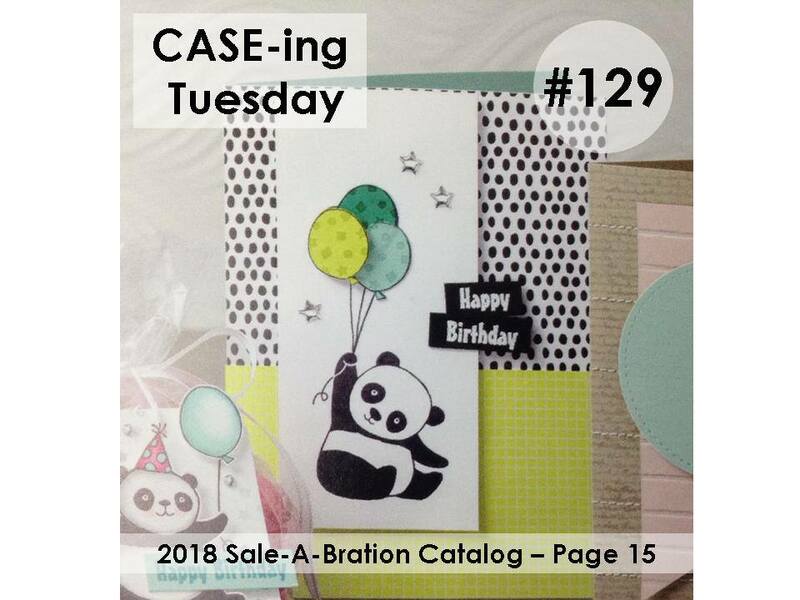 As I said in my previous Tuesday posts we are a group of Stampin'Up! demo's that every week we CASE a selected card. I just love the little panda! However for my card I chose to use the Lovely Wishes stamp set in the new S/S catalogue, Which I think is my favourite so far. Here are a couple of closer looks at my card. 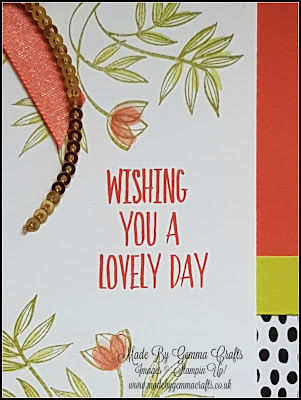 I have used Calypso Coral for my card base and some of the dsp from the Tutti- Fruitti stack. With a little splash of Lemon Lime Twist for good measure, I think I have found my new favourite colour combo! 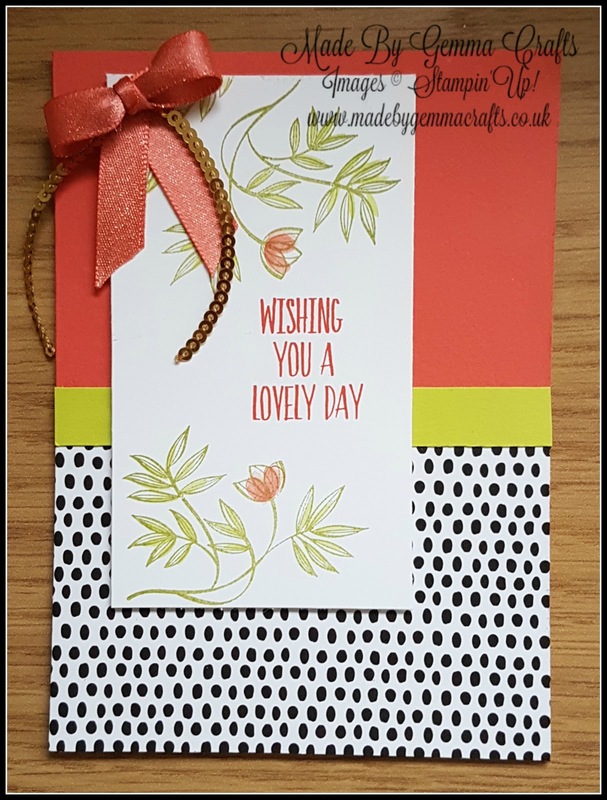 The Lovely Wishes set has some 2 step stamps in and is really easy to line up, I stamped the main images in Pear Pizzazz and the infil stamp in Lemon Lime Twist. The sentiment is stamped in Calypso Coral. 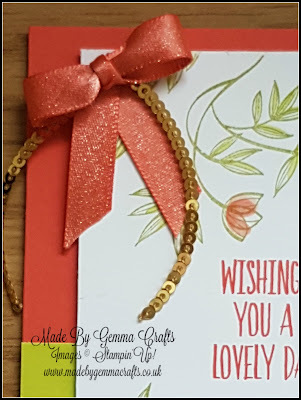 I finished the card with some sequin trim and ribbon from the Sale-A-Bration Catalogue in Calypso Coral. Labels: polka dots, Sale-A-Bration, Stampin' Up!